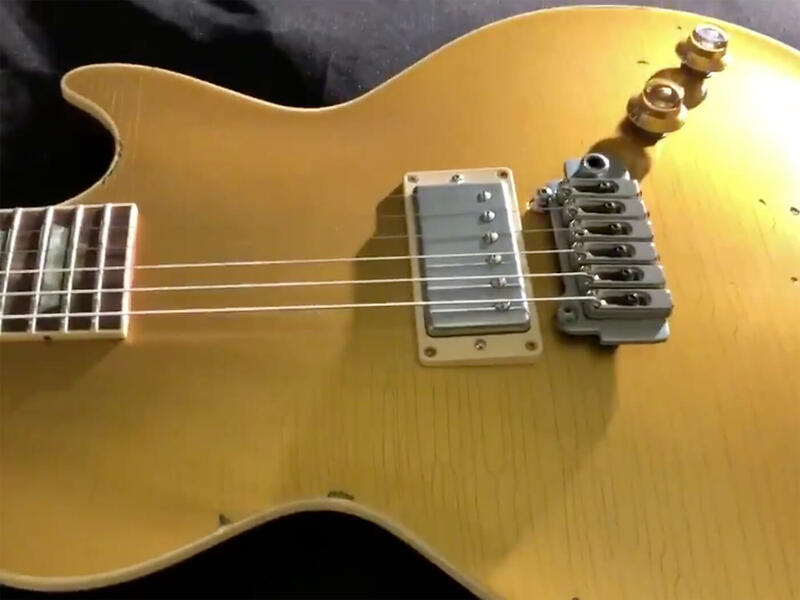 Yesterday, Joe Perry took to Twitter to tease a new Gibson Les Paul signature model. The video post zoomed in on a Goldtop Les Paul with a single humbucker at the bridge and a Wilkinson Strat-style tremolo system. This isn’t the first signature Les Paul for the Aerosmith man, who’s collaborated with Gibson on a 1997 Blackburst model, a 2004 custom ‘Boneyard’ piece as well as a 2012 re-creation of his 1959 LP. The forthcoming model may, however, stand out from the rest, as Perry explains in his tweet, “After several decades of playing many different guitars I think this one represents the nearly impossible task of bringing the best of all of them into this new signature model”.